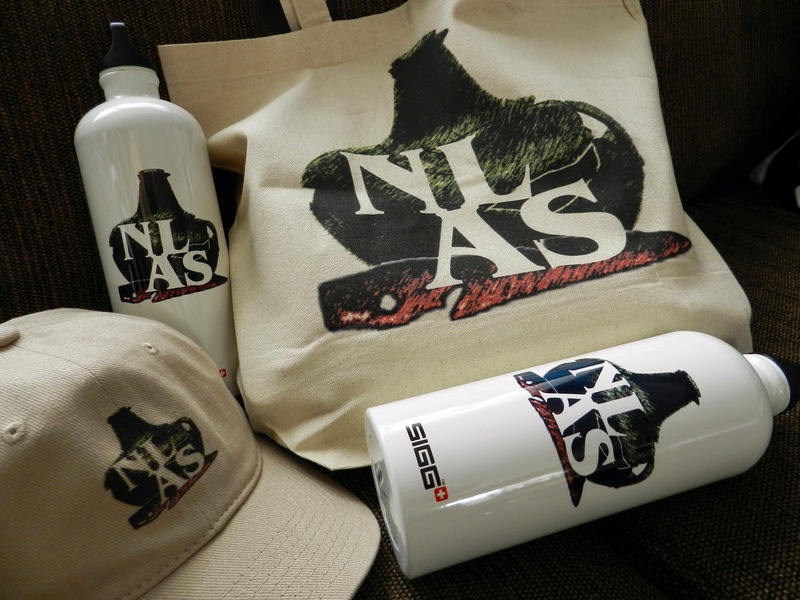 The links in the lecture titles will direct you to the NLAS YouTube page where you can watch each of these lectures. 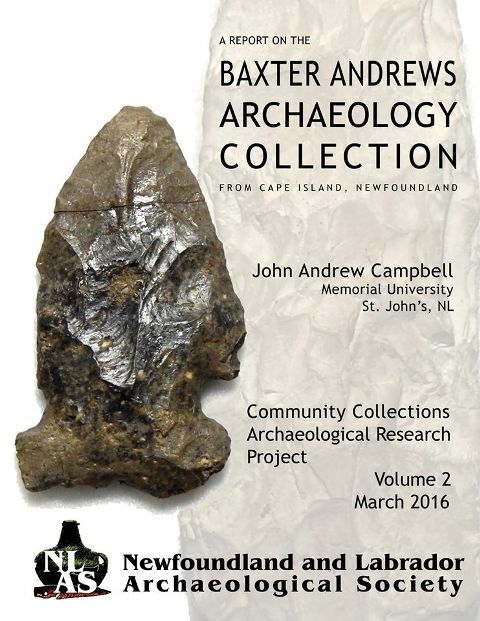 The following presentation and attached PDF showcases artifacts collected by Baxter Andrews on Cape Island in Cape Freels, Newfoundland, between 1953 and 2010. Seventeen artifacts were surfaced collected by Mr. Andrews from eroding sand banks during walks along the beach with his wife Bernice. The artifacts represent six precontact cultures including: Maritime Archaic Indian, Dorset Palaeoeskimo, Cow Head Recent Indian, Beaches Recent Indian, and Little Passage Recent Indian-Beothuk. This is the second collection catalogued under CCARP. The presentation by John Andrew Campbell was recorded and is now available on our YouTube channel. 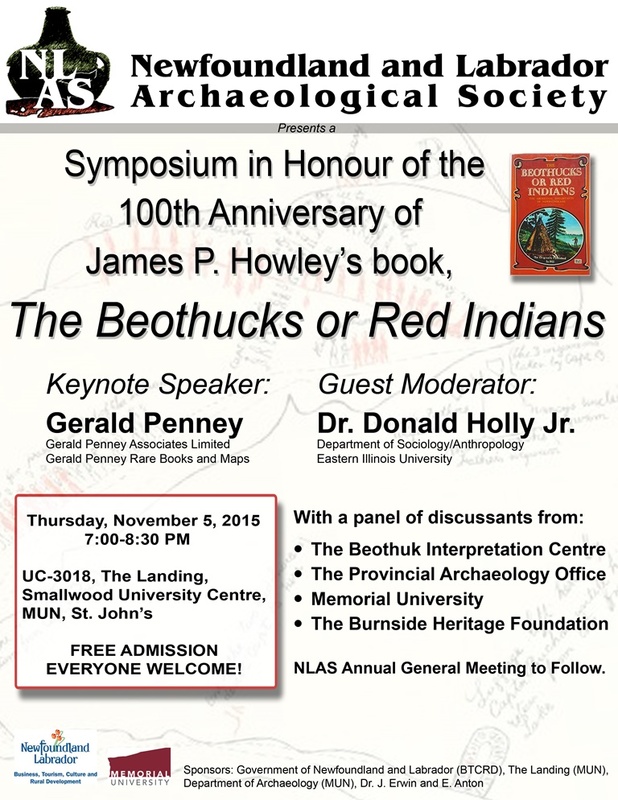 On November 5, the Newfoundland and Labrador Archaeological Society held a symposium in honour of the 100th anniversary of James P. Howley’s book, “The Beothucks or Red Indians”. Our keynote speaker for the evening was Mr. Gerald Penney who presented a lecture entitled James P. Howley, “the birth of Newfoundland archaeology, and the end of history” (PDF). After his presentation the NLAS had a discussion on the book and the role it has played in our understanding of the Beothuk. The NLAS gathered some of the foremost Beothuk research specialists in archaeology, history, and historic site tourism, to discuss the contributions that this volume has made to our understanding of the Beothuk people and culture. This portion of the evening was hosted by Dr. Donald Holly. The whole event was recorded and is now available on our YouTube channel. Dr. Barry Gaulton lectured on behalf of he NLAS and The Rooms on the topic George Calvert, David Kirke, and Jim Tuck: three visionaries and their impact on Ferryland, Newfoundland. 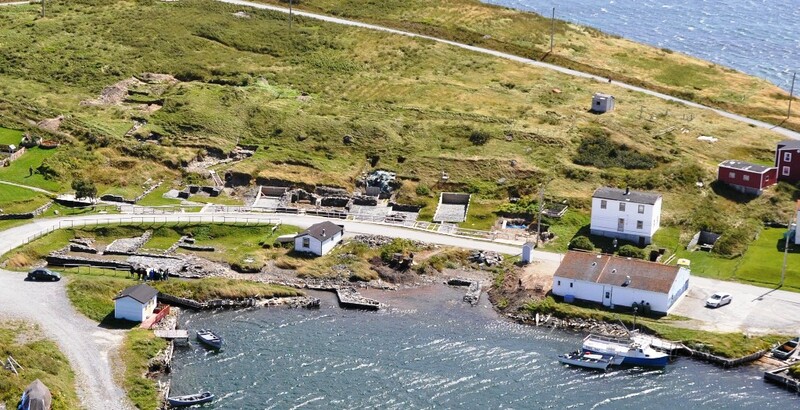 In 1621 Sir George Calvert, the first Lord Baltimore, established a permanent English settlement at Ferryland on the Southern Shore of Newfoundland’s Avalon Peninsula. Less than two decades later, Sir David Kirke gained control of the fledgling town and changed/diversified some of the daily operations in an effort to make it economically viable — changes that largely continued under the direction of his wife, Lady Sara Kirke and their sons. A French attack in 1696 destroyed the entire colony but its remains lay undisturbed throughout the centuries. Starting in the mid-1980s, archaeological investigation led by Dr. James A. Tuck has revealed this amazingly well-preserved seventeenth-century settlement. This presentation looks at the impact that these three important individuals had (and continue to have) on the past and present community of Ferryland as demonstrated through 25 years of archaeology. 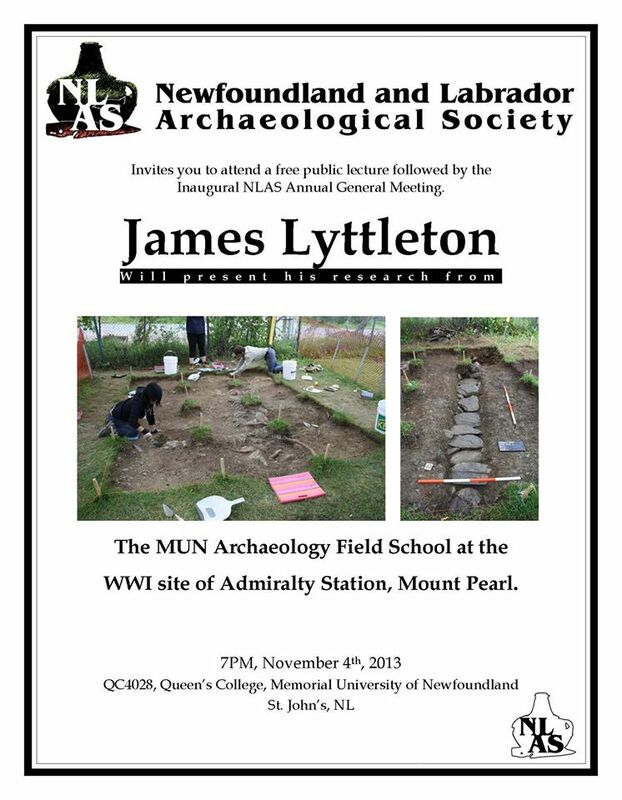 Dr. Gaulton is an Associate Professor with the Department of Archaeology at MUN. His research involves ongoing excavations at Ferryland, Newfoundland, which focuses on George Calvert’s colony of Avalon (1621) and the subsequent plantation established by Sir David Kirke in 1638. Dr. Oscar Moro Abadia lectured on behalf of he NLAS and The Rooms on the topic One Hundred and Fifty Years of Prehistoric Art: A History of Paleolithic Images. Paleolithic art was first discovered in France in 1864, i.e. one hundred and fifty years ago. In this talk I review the history of the terms and ideas used to conceptualize Paleolithic art since the end of the nineteenth century. In the first place, I show how, during the period 1900-1970, prehistoric representations were typically divided into two main groups: ‘parietal art’ (including ‘rock’ and ‘cave’ art) and ‘portable’ (or ‘mobiliary’) art. This classification gave rise to asymmetrical attitudes towards Paleolithic images. In particular, while a small number of cave paintings were praised for their realism, portable representations were overlooked. In the second place, I examine how during the last forty years archaeologists have developed new frameworks within which more kinds of images can be meaningfully approached and incorporated into the analysis of Paleolithic art and symbolism. I suggest that the emergence of new approaches to Pleistocene imagery is the result of a number of interrelated processes including the globalization of Paleolithic art studies, the impact of new discoveries, and the development of new approaches to art, images and symbolism. Dr. Abadia is an Associate Professor with the Department of Archaeology at MUN. He is an expert in Paleolithic art with a keen interest in the history of archaeology and science, and its relationship with First Nations and Inuit peoples. Archaeologists and geographers Christina Robinson, Marc Storey and Ariel Pollard Belsheim came together to lecture about sea-level rise and the impact on heritage resources. Our coastal archaeological heritage is under immediate threat from sea-level rise, increased storminess and shoreline erosion. Come hear how geographers at MUN are helping to identify at-risk coastal archaeological sites and to evaluate response efforts through their new research project CARRA. Archaeologist spoke to the NLAS at the Rooms about the Chapeau Rouge, a French settlement in Placentia Bay and Fortune Bay. Here, small family-based fishing plantations were established and grew from the mid-seventeenth century until their forced abandonment in the Early eighteenth century. 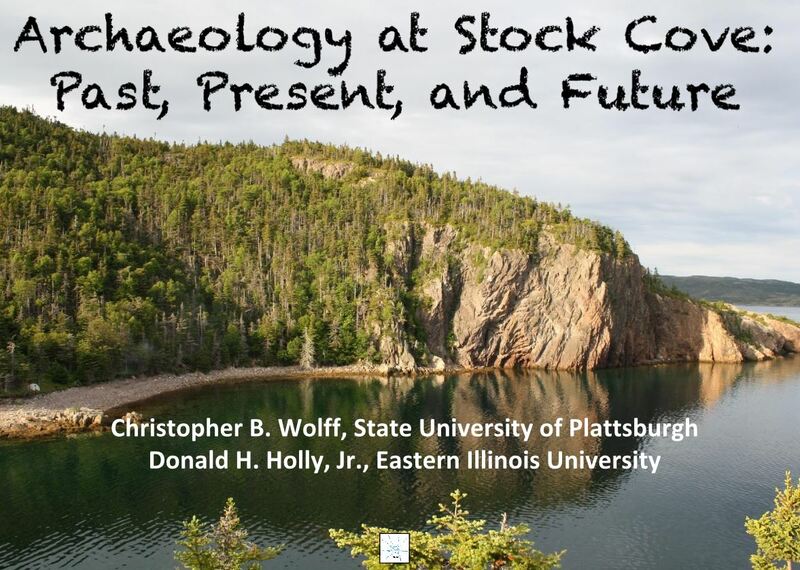 Dr. Donald Holly and Dr. Christopher Wolff spoke about their work at Stock Cove in Sunnyside, NL in the summer of 2014. Because of the quality of the video, Dr. Holly and Dr. Wolff were kind enough to pass along their presentations, if you’d like to follow along. They are located in “Description” under the video. Our first NLAS event in Labrador was in cooperation with the Labrador Institute’s Speaker Series. 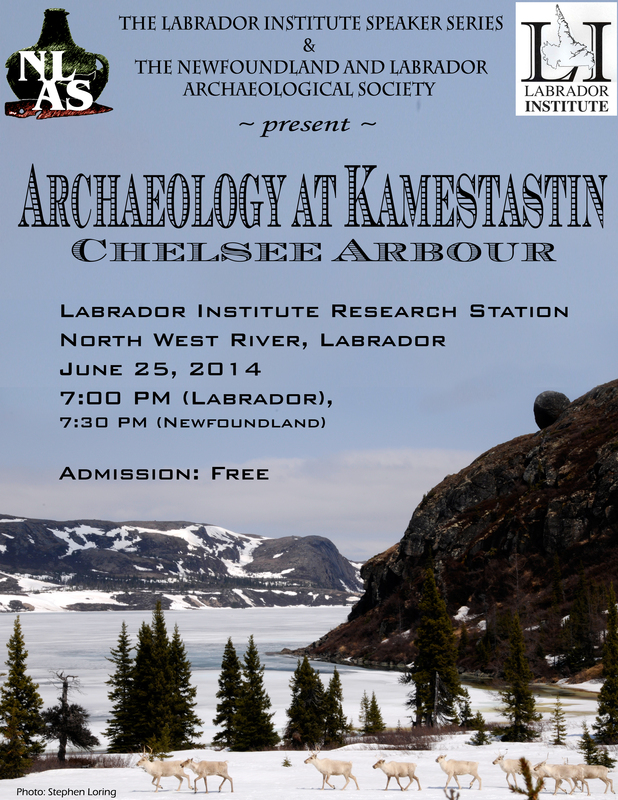 We proudly presented MUN graduate student Chelsee Arbour as she spoke about her ongoing archaeological research into the ancient history of Kamestastin, Labrador. Archaeologist Laurie McLean spoke at the Rooms during their Coffee and Culture program about his recent work on the Exploits River looking for Beothuk housepits. Dr. Scott Neilsen presented a lecture at The Rooms’ for their Engaging Evenings Speaker Series, in collaboration with NLAS entitled Archaeology in Sheshatshiu. A new exhibit opening at the Labrador Interpretation Centre in the Spring of 2014 included results from an archaeological dig in Sheshatshiu, Labrador. Scott Neilsen, from the Department of Archaeology-Labrador Institute/Memorial University, introduced us to the archaeology of Sheshatshiu and discussed the investigation of a significant Intermediate period site, FjCa-51. Dr. James Lyttleton was the guest presenter who spoke at the first NLAS Annual General Meeting on November 4th, 2013. Dr. Lyttleton spoke about the MUN Archaeology Field School that he directed at Admiralty Station in Mount Pearl that summer. The NLAS and Samantha Letemplier would like to thank everyone who took the time to come out to our public presentation of Samantha’s research results on the Harvey Hopkins Archaeology Collection in the town of Old Perlican, Newfoundland and Labrador this past Monday afternoon. Samantha tells us that the talk was very well attended and wanted to pass on that she really enjoyed speaking with community members and getting to answer so many questions following her talk! Here is a picture of Samantha and Ivy Crowley-Saint, daughter of the late Havey Hopkins who originally collected this fascinating paleo-Inuit Middle Dorset assemblage while preparing to dig a well on his property back in the 1960’s. To read or download Samantha’s full report, click the link in our bio! To donate, please click the button below.